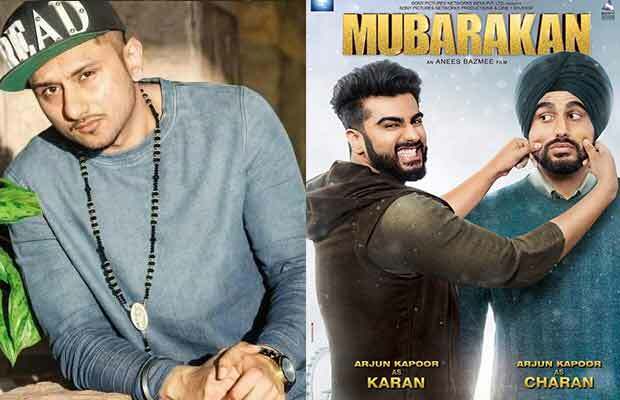 Yo Yo Honey Singh the popular Punjabi rapper who is known to have got the entire nation grooving to his peppy tracks and hooked to his lyrics, recently took to Twitter to praise actor Arjun Kapoor on the look of his upcoming film Mubarakan. The film is a family entertainer about a dysfunctional Punjabi family featuring Arjun Kapoor in a double role. Arjun kapoor is seen donning two distinctive looks. One of a free spirited urban guy Karan and the other of a naive turbaned guy Charan. Arjun who changed his Twitter display picture to a picture showcasing his different looks garnered a reply from none other than the music sensation Honey Singh. Yo Yo Honey Singh who is a Jatt himself pointed out Arjun’s semblance to a real life Jatt. The music star took to Twitter and wrote,” lookin like proper Jatt. Honey Singh in reply to the actor said, “much love rise n shine”. Though Arjun Kapoor and Honey Singh haven’t directly collaborated on a song, one of Arjun’s chart busters is a mixed and re created version of none other than Honey Singh’s party numbers High heels.The song is touted as one of the most loved songs of Arjun Kapoor.